SHENZHEN -- BYD Co. plans to send two electric buses to Copenhagen for road tests. Under an agreement with Trafikselskabet Movia, Denmark's largest public transport operator, BYD's K9 electric buses will be added to the company's fleet in 2012 if it passes the tests. The buses, which are 12 meters (39 feet) long and 2.5 meters wide, were built in the central China city of Changsha late last year. The K9 has a range of 250km (155 miles), with a maximum speed of 70kph. Its lithium ion battery pack can be fully charged in six hours, or half-charged using BYD's proprietary rapid-chargers in 30 minutes. 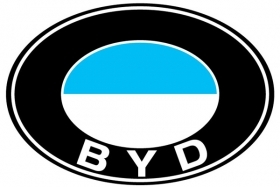 BYD has sold 1,000 electric buses to a public transport company in Changsha. But the Denmark deal is the company's first with an overseas customer. The automaker also has sold 1,000 F3DM plug-in hybrids and 50 e6 electric cars in China. The company plans to sell plug-in hybrids and EVs in the United States and Europe.